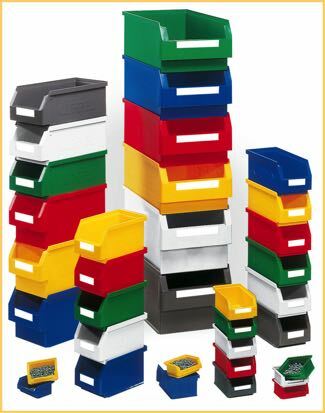 Top quality, industrial strength, plastic parts bins. Small parts storage products that are made to last. 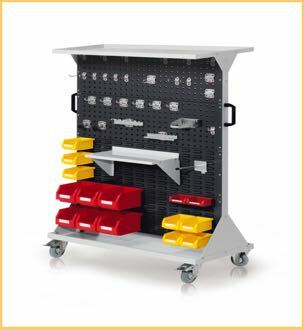 Do you need to store small parts and loose components ? Do you need a plastic parts bin that is built to last ? Do you need a parts bin thats up to the job of day in, day out, rigorous workplace usage ? 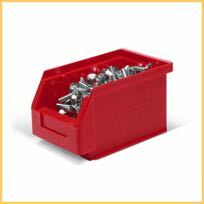 Our plastic parts bin range answers the demand for industrial quality in a small parts storage bin. in a superior construction that creates a very stable, durable, shatterproof storage bin. 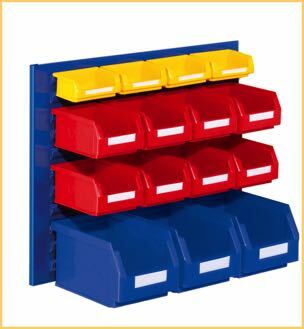 Small Parts Storage Bins that wont flex or warp when loaded or when being used on louvred storage panels. electrical components, nuts, bolts and even food products. 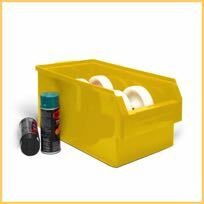 Buy a storage bin thats suitable for the demands of the workplace. Available in six outstanding colours and eight different sizes , from ultra small to half a metre long. Ergonomic finger position slots to aid handling. Can be used on conveyor systems. Also available with transparent lids, dividers, labels, and grip rods for larger models. Environmentally friendly, fully recyclable parts storage bins. Quick delivery from large stocks. 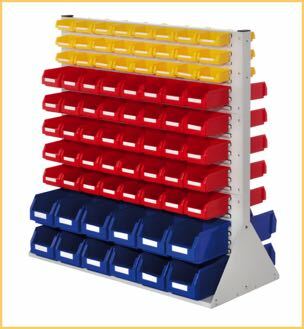 Tough, long lasting, professional quality, plastic parts bins. If you only buy one parts bin for your workplace, make sure its one of these.